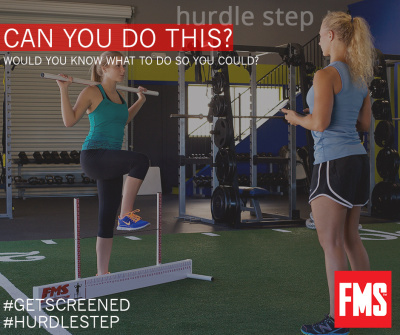 The Functional Movement Screen (FMS) is the product of an exercise philosophy known as Functional Movement Systems. This exercise philosophy and corresponding set of tools is based on sound science, years of innovation and current research. 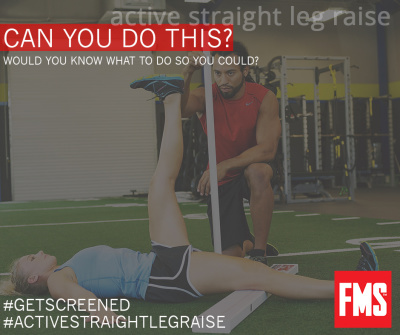 The FMS is a ranking and scoring system that documents movement patterns that are key to normal function. 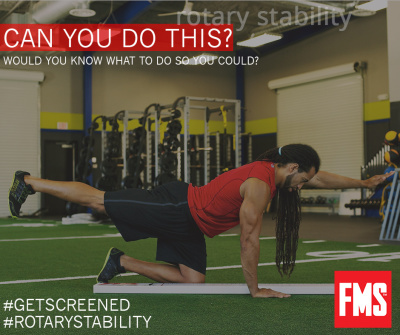 By screening these patterns, the FMS readily identifies functional limitations and asymmetries. The movement patterns used in the screen are designed to provide observable performance of basic body movements by placing an individual in positions where weaknesses and imbalances become noticeable if appropriate mobility and motor control is not utilized. Restore Your Freedom to Move Well. Our bodies move by way of a complex system of interconnected muscle, joints, tendons, bones, fascia, receptors and nerves. The cause of shoulder limitations might not be located in the shoulder. Our bodies compensate for limitations in mobility, posture, and repetitive motions by utilizing muscles that were not originally designed to do the job our limitations require. Pain, stiffness, and possible injury might be the result of our bodies attempt to compensate. 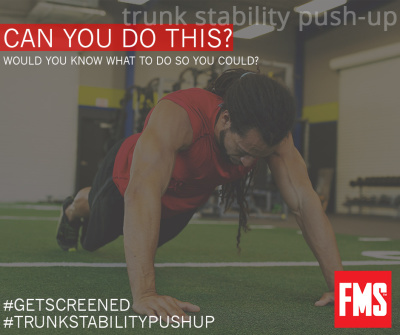 A Functional Movement Screen will expose your body’s limitations and compensations. 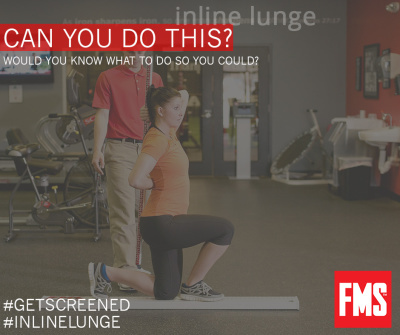 Your FMS screener can then set you on a course of corrective exercises to get your body working as it should.